Iranian Foreign Minister Mohammad Javad Zarif plans to make an official visit to Beirut next week to hold talks with senior Lebanese officials and prominent figures. “Given the type of relations between the Islamic Republic of Iran and Lebanon and the impact of this country on regional peace and stability, the two sides have been holding periodic consultations and this trip will take place soon,” Iranian Foreign Ministry Spokesman Bahram Qassemi said on Friday. 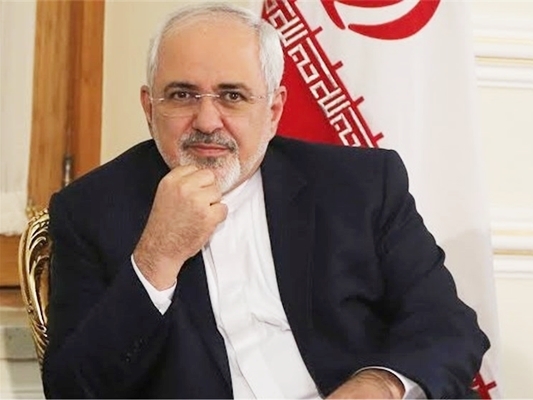 He added that preparations are underway for the top Iranian diplomat’s visit to Beirut, saying Zarif is likely to make the visit next week. He said the foreign minister would discuss ways to strengthen bilateral cooperation in various political, economic and cultural fields in Lebanon’s new political landscape. The spokesperson noted that Zarif would also exchange views with the Lebanese officials on the latest developments in the Middle East, particularly in Syria, and Tehran-Beirut cooperation on the international scene. Zarif’s visit will come just days after Lebanon’s lawmakers elected former general Michel Aoun as president when they convened for their 46th attempt to choose a head of state on Monday. After four rounds of voting, including two unexpected repeat votes, Aoun secured the presidency by winning the support of 83 out of 127 MPs, well above the absolute majority of 65 needed to win. In a telephone conversation with Aoun following his election on Monday, Iranian President Hassan Rouhani extended his felicitations to him over his landslide victory and said the election of Aoun as Lebanon’s new president was the manifestation of peace and the triumph of democracy and a victory for all the country’s political parties. He also said Tehran will keep its unwavering support for Lebanon’s government and nation as well as the Lebanese resistance movement, Hezbollah. The Iranian foreign minister also on Monday expressed his felicitations to all of the Lebanese on the election of Aoun as their country’s new president. The top Iranian diplomat paid two rounds of visits to Lebanon in January 2014 and August 2015.